It is hard really for me to work out quite what Steve Hackett has done to the rest of his former Genesis buddies to be treated the way he has. Tony Banks in particular I have noted appears to harbour a real grudge against the poor chap – witness his withering comments at both the Rock ‘n’ Roll Hall of Fame initiation footage and, more recently, on the BBC documentary Together and Apart. Hackett had joined the band in 1970 replacing Mick Barnard (not Anthony Philipps, as is generally believed) and brought to the table a harder-edged guitar sound; compare the guitar work on The Musical Box, say to The Knife. He remained an integral part of Genesis classic line-up, until being effectively edged out in 1977, when he found it impossible to get many of his compositions onto the studio albums. But here he was, thirty-odd years on, in the midst of a tour performing Genesis material from the seventies. He is on record as saying he is doing so alone as he is tired waiting for a call from the other guys, but in my more cynical moments I wonder of the fact his second wife took him to the cleaners with their divorce settlement played a factor. As to the gig, well it was a fairly respectable imitation I suppose. 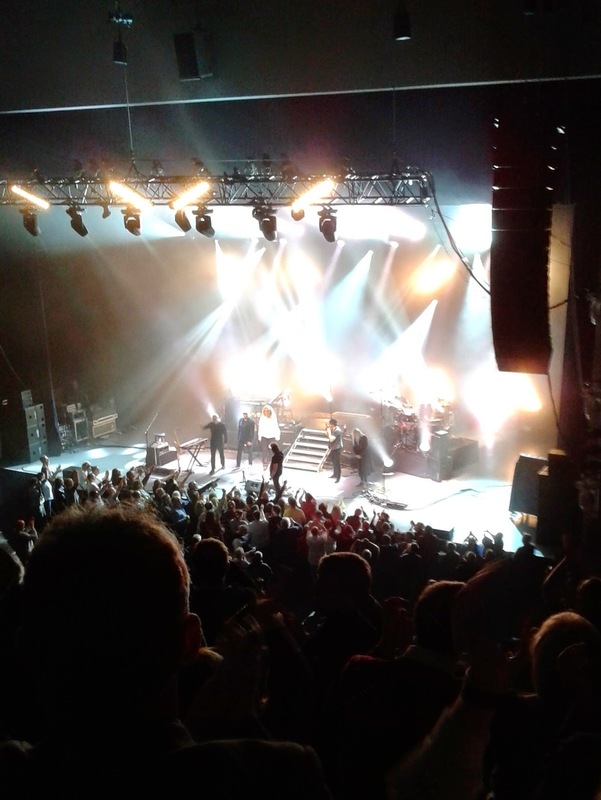 Hackett sounded on top form, and the other four musicians in the band are all such seasoned musos, recreating the Genesis sound of forty-years ago would hardly have taxed their talents. The difficulty, of course, was always going to be the vocals – whosesoever Hackett brought in would inevitably be unfavourably compared to Gabriel or Collins. The chap with the unenviable task was one Nad Sylvan: a Swede, all long blond hair and frilly lace. He appeared content to lurk in the background for much of the gig, only really coming forward to strike any sort of Rock-star pose during Supper’s Ready. Unfortunately his vocal phrasing made it painfully obvious English was not his first language, and on a couple of occasions his voice just appeared to fail him completely. But in reality, the poor man was on a hiding to nothing, and I consoled myself with reflecting upon how bad the situation could have been. He didn’t half nail The Musical Box perfectly, though, reaping a standing ovation for his efforts. Generally the song arrangements stuck pretty close to the originals; the main exceptions being I Know What I Like, which developed into a pleasing saxophone driven jam, and Los Endos into which was incorporated the instrumental piece Slogans from Steve’s 1980 album Defector. It didn’t really work, and was a bit of a mess to be honest. The main set closed, perhaps inevitably, with Supper's Ready. I have never really had too much time for this over-rated (IMO) piece, but as I get older I do find that Apocalypse in 9/8 section more and more irresistible.